Daily balm for shine and softness. Daily rinse-out beauty balm that leaves hair shiny and soft. 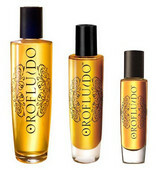 Orofluido’s pyramid of beauty formed by three natural oils - argan, cyperus and linseed - has been combined with active ingredients and a wide-spectrum UVA/UVB filter to lock pigments inside the hair fibre and provide vibrant, long-lasting colour. It conditions and moisturizes hair to make detangling easier and leave hair manageable, silky and flexible. 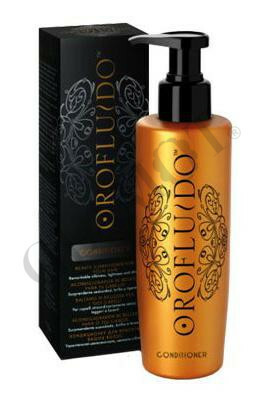 High performing formula to maintain the intensity and shine of the Orofluido Colour service. Offers the perfect thermal protection to keep hair in the best condition. pH-balanced formulas that seal the hair cuticle to make it more resistant and promote colour retention.